Hunderfossen Camping si trova a Lillehammer, Oppland, è situato fiume/torrente. Questo campeggio dispone di piazzole senza ombra e piazzole poco ombreggiate. È possibile affittare chalet, stanze e bungalow. Il campeggio dispone di un parco giochi. Ogni anno un ispettore visita il Hunderfossen Camping, controllando oltre 200 tra attrezzature e altri punti di interesse del campeggio. L'ispettore è un dipendente ACSI e non lavora per il campeggio. Campsite very wet during our stay. Paid at Hotel reception as no other staff on site. Situated between a railway carrying both passenger and freight (horribly noisy) and a very busy main road with continual car and heavy vehicle noise. Sanitary facilities smelly, scruffy and not very clean. Free Wifi only by reception. Could not stay more than 1 night. While Toilet facilities are restricted to both Men & Women using the Women 's section in Low Season as the Men 's are 'Closed'. The Internet has not been available on the campsite for the last 12 months and shows no signs of being made available! The campsite is next door to the main railway line with both fast goods and passenger trains going through with the associated high noise levels! Hunderfossen Waterfall is a joke as it is not natural it is 'Man Made' from a Dam across the lake! In a word a disappointing place for the price charged. Volete prenotare il campeggio Hunderfossen Camping o oppure saperne di più? Potete farlo usando i seguenti dati oppure tramite il sito del campeggio. Dalla E6 uscita 'Hunderfossen Family Park', sul ponte a Øyer. Ben segnalato in entrambe le direzioni. 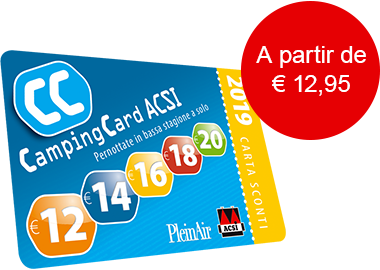 ACSI Eurocampings invia la tua richiesta di informazioni al "Hunderfossen Camping".